It’s another huge decision at a time of huge decisions. Just what words do you want to leave as an everlasting tribute to a loved-one? There are many factors to consider, all of them as tends to be the case at a difficult time, ingrained with sensitivity and emotion. 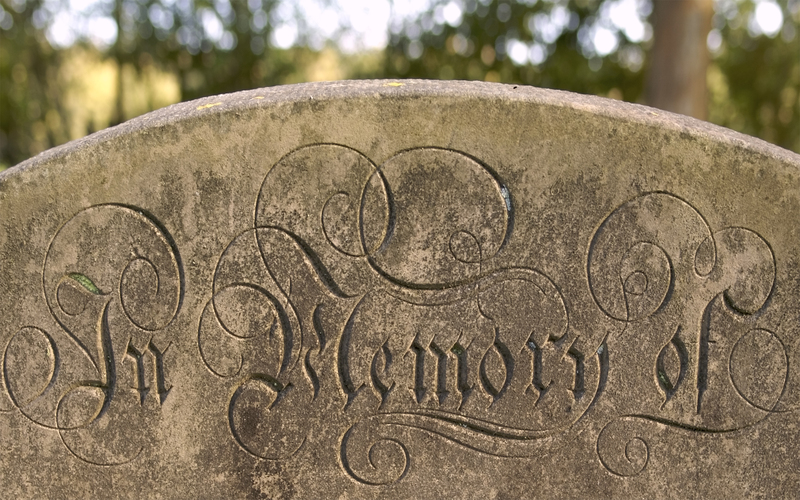 Wording on a memorial should reflect the person who has passed away. Naturally, those who are left behind will have their own wishes and ideas as to what it should say and it can present something of a quandary at a time when there is so much else going on. But it needn’t. Help is always there. A hand on the shoulder, a word of reassurance, is never far away. Understandably, the death of a loved one is a time that can leave many feeling virtually mute. Grief is all-consuming and occupies every inch of the mind, so it feels as if there is little or no room to think expansively. Creativity is becalmed in a sea of mourning and reflection, yet at the same time, how can you ever capture the essence of a human being, with decades of life behind them, in a few simple words on a headstone? A memorial headstone is a huge space to fill, but one that the best memorial providers will always help to find the right words. To achieve the desired wording, there are a few questions we need to ask. The first one being, who is best qualified to decide the wording? It is important that this is a decision shared by close family and friends because nobody wants resentment or disagreement at an already difficult time. Many become bogged down with a recurring uncertainty – should the memorial embody them as a person or state why we, those who surrounded the deceased, loved them? It’s worth remembering that these are essentially the same question. Keep things simply – who was this person and what made them so special? The detail of the person, the intricacies, the personality, the character, will already exist in people’s minds, it will have been spoken of in the eulogy and hundreds of conversations. Do not feel as if the memorial inscription is a summing up process. It is simply a tribute of humanity and love. Memorial providers are always sensitive to your needs. They will talk you through the process and often provide examples of wording or poetry – there have been some fine examples down the years – which you may find appropriate and reassuring. There are even counsellors available to help you feel deep comfort in making your decision. Remember, no two people are the same. There is no right or wrong. There is just you and your loved one. More often than not, your heart will provide the answer. We hope you have found this blog helpful and informative. Please feel free to contact us for help and advice.